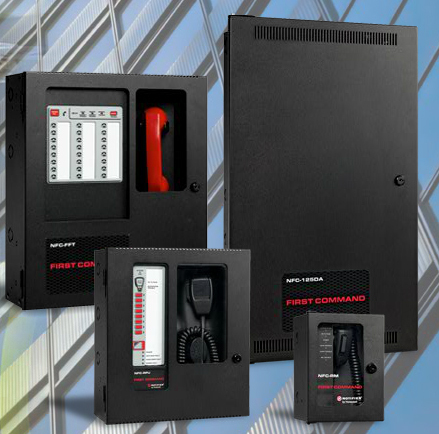 First Command emergency communication systems (ECS) are designed to seamlessly interface with virtually any commercial fire alarm to provide a system for broadcasting live and pre-recorded general messages and emergency alerts. 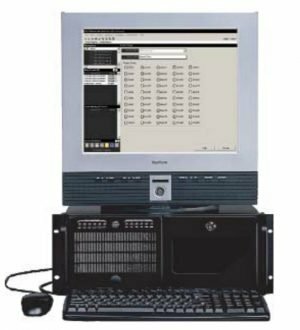 First Command emergency communication systems (ECS) are designed to seamlessly interface with virtually any commercial fire alarm to provide a system for broadcasting live and pre-recorded general messages and emergency alerts. 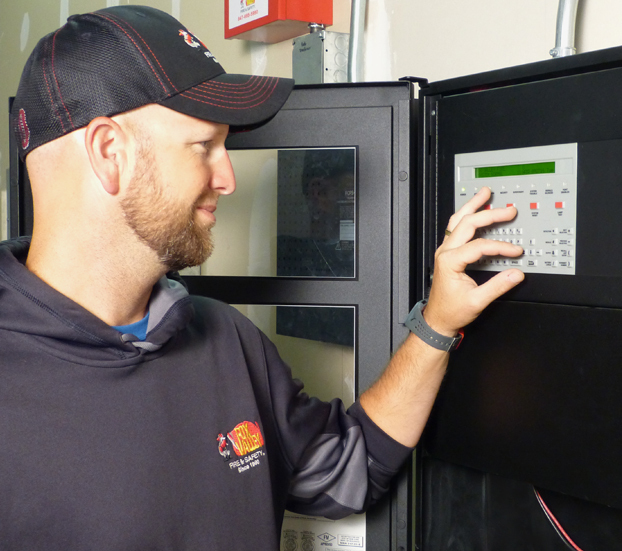 By leveraging the code-required intelligible, survivable, fully-supervised qualities of new and existing fire alarm systems, First Command offers small, standalone facilities an ECS that is both economical and highly-reliable. First Command’s scalable design allows the system to be tailored to fit the needs of a single building, with ample capacity for future expansions. Every First Command system can support a combination of up to eight remote control panels and microphone consoles, which can be installed at easy access points throughout a facility. As many as 14 pre-recorded messages can be customized for a facility to utilize for emergency alerts, as well as day-to-day notifications. With a maximum message length of one minute, First Command can support detailed instructions and bi-lingual communications. This system can also be used for non-emergency functions such as live paging or background music. 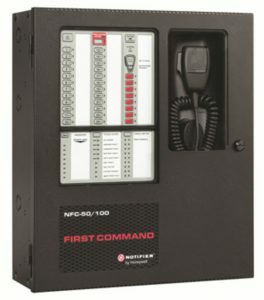 First Command joins NOTIFIER’s broad line of fire alarm and emergency communication solutions, capable of protecting facilities and campuses of any size or type. Whether intending to reach occupants within a building or people in an outdoor stadium, or across an expansive military base, NOTIFIER’s communication systems deliver highly effective, attention-grabbing results. 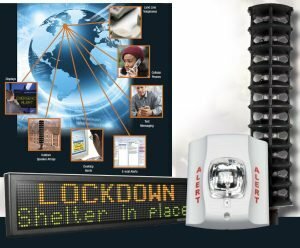 Graphic displays, LED signage, and even distributed recipient technologies such as email, text messages and computer pop-ups are additional capabilities NOTIFIER offers to help facility managers and security directors ensure the right messages reach the right people. 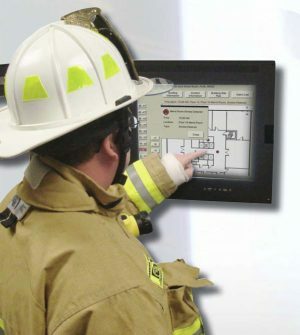 UL Listed to UL 2572 Communication (Control Units Mass Notification Systems) and UL 864 (emergency voice evacuation for fire). Modular design for system flexibility and easy expansion. 50 watts of 25V audio power (expandable to 100 watts) RMS. 2 amp Notification Appliance Circuit (NAC) output, sync generator, or follower for System Sensor, Wheelock or Gentex protocols. Optional 70V transformer available for the primary amplifier. (Note that speaker wiring continues to be supervised in standby, alarm and when background music is playing with this optional transformer installed). 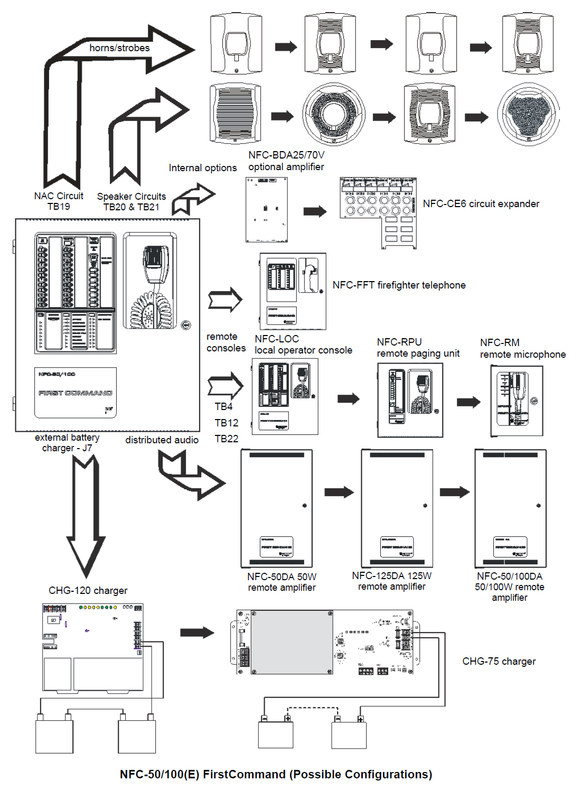 Eight Command Input Circuits to activate messages 1 to 8: CMD1 and CMD2 are field selectable to be activated from 12 or 24 VDC Notification Appliance Circuits (reverse polarity) or contact closures, CMD3-CMD8 are activated by contact closures. Speaker Circuits: Single Style Y (Class B) or Style Z (Class A) speaker Circuit, Two Style Y (Class B) or Style Z (Class A) speaker circuits (with optional NFC-50W- 25/70V Audio Amplifier installed), Eight Style Y (Class B) or Style Z (Class A) speaker circuits (with optional NFC50W-25/70V and NFC-CE6 installed).